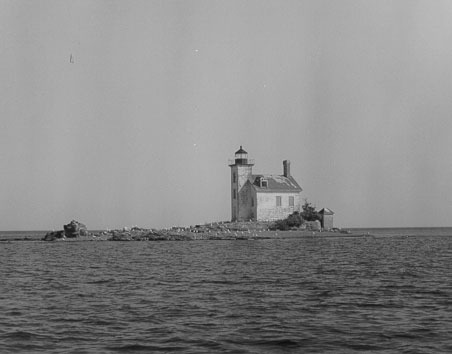 Owner/Manager: Michigan Lighthouse Conservancy with Gull Rock Lightkeepers. 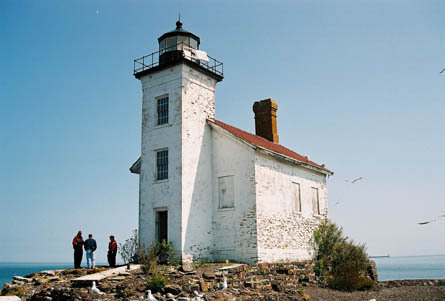 Gull Rock lighthouse in 2004. Note the missing dormer from the black and white photo on the left side of the page. 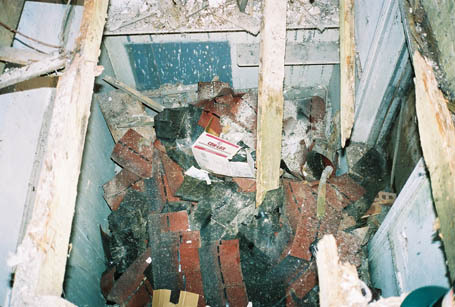 Above and below photos show how the interior has collapsed and is literally a disaster area from all the rotted debris. 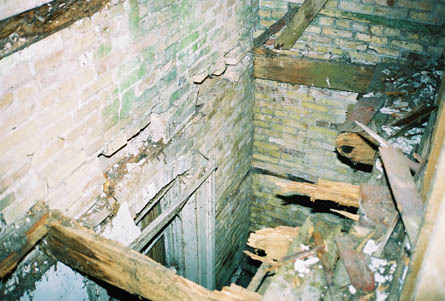 The restoration will be a major undertaking.